I’m trying to post more during the week–mostly shares and little reflections–and maintain the longer Sunday posts I generally had. I think I finally have a routine I can can sustain which lets me. For today, I’m thinking about tea. It’s a rainy day where I live, a resilient patter like the crackles of a dozen small fires. Now and then, a cold breeze blows through my window. The sky is deep grey, like faded blacktop, thick with clouds and no prospect of sunlight, even as a dim, filmy outline. Just perpetual twilight without the colors. Such a drippy day begs for a cup of tea. In particular, black tea with milk. Normally I’m a green tea person. I like the sweetness, nuttiness, refreshing astringency, and floral levity of it. The way a judicial steeping doesn’t infuse it with too many tannins. I also like how it doesn’t stain as much and contains less caffeine. 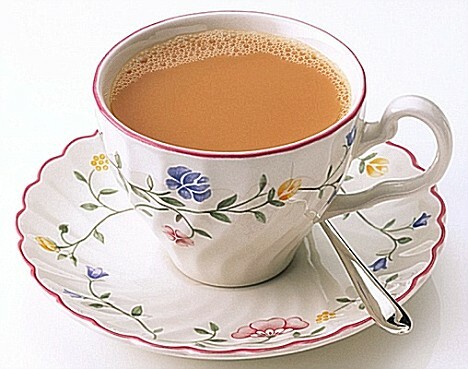 But on a day like today, I recall what Orwell said in his essay “A Nice Cup of Tea“: “Anyone who has used that comforting phrase ‘a nice cup of tea’ invariably means Indian tea.” This needs some explaining. Indian teas often used the Assamica variety of the original Camellia sinensis, the tea plant that supplies all the different types of tea, including black, green, white, yellow, or oolong. Herbal teas like rooibos or mint are actually “tisane,” not tea. To my knowledge, only the French, tea producers, and tea lovers (or snobs) respect this difference. 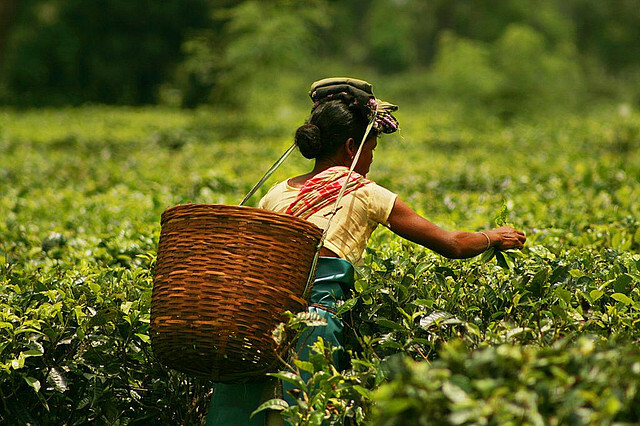 The British used the Assamica variety throughout India, particularly in the Assam region, because the original tea plant that China and Japan used suffered in the swampy, tropical heat. The same Assamica variety made its way to other tropical locales, as when Thomas Lipton started growing tea in Sri Lanka. Thus, most “Indian tea,” and consequentially most of the tea drunk in Britain, came from this Assamica tea plant, which are generally more robust and malty. Moreover, transportation and tradition had most English drinking black tea, not green, which capitalize on Assamica‘s malty flavor and heartier mouthfeel. So on a day like today, when I make a cup of tea “to feel wiser, braver or more optimistic,” to echo Orwell again, I pull out my Assamica black tea and add a dash of milk. Something about this combination–the rainy day, the black tea, the milk–wields comfort, like a warm fire on a winter day. I’m not sure where that comes from, but I’ve always felt it. For instance, a few years ago I made a list of “Things I can look forward too” and number one said, “black tea with milk.” I haven’t changed my mind. In the end, it is a question of taste. But every taste has some interesting history behind it.